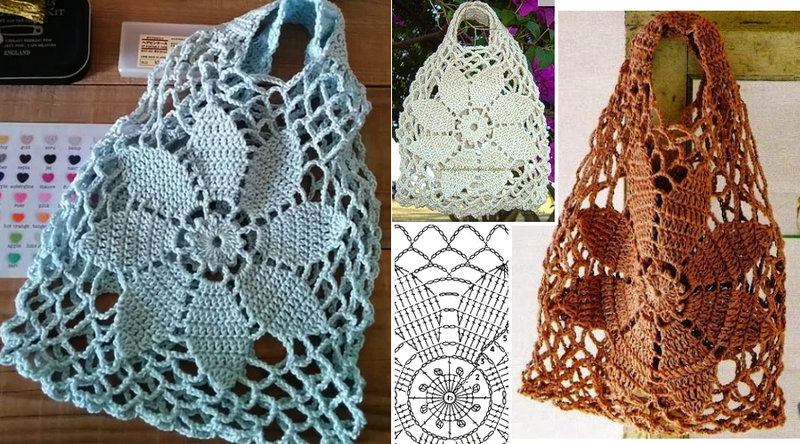 Pattern for knitting a crochet bag, in brown or white thread, to go shopping. 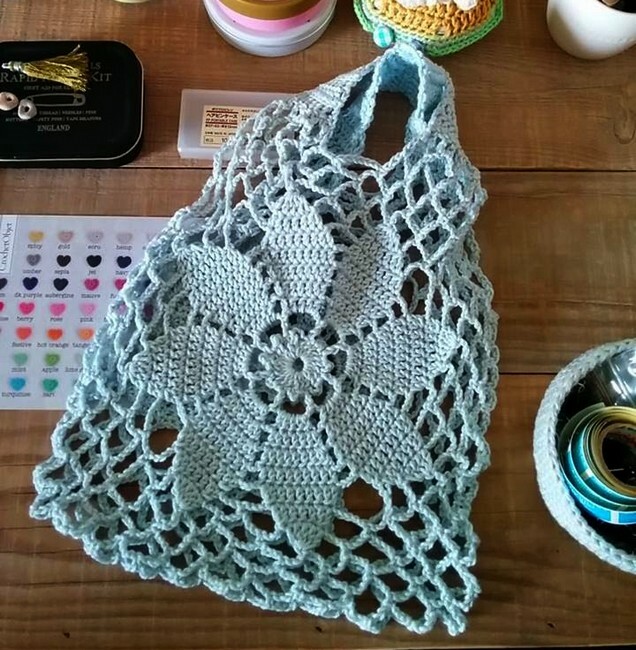 Something easy for those just beginning. 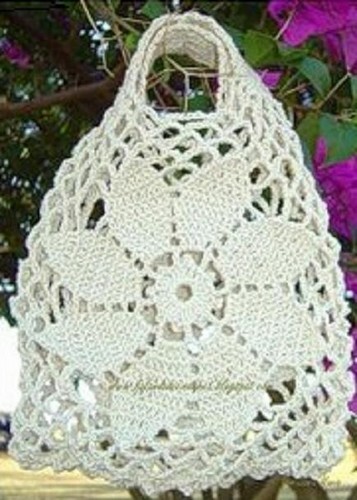 Look what a beautiful crochet bag! On a draft basis, an eight-petal flower. 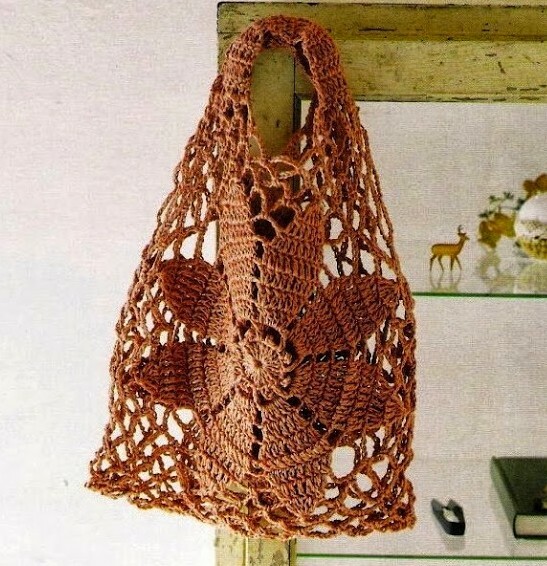 The preparation of this bag starts at the handle of the bag and I think it will be very simple to carry it out. 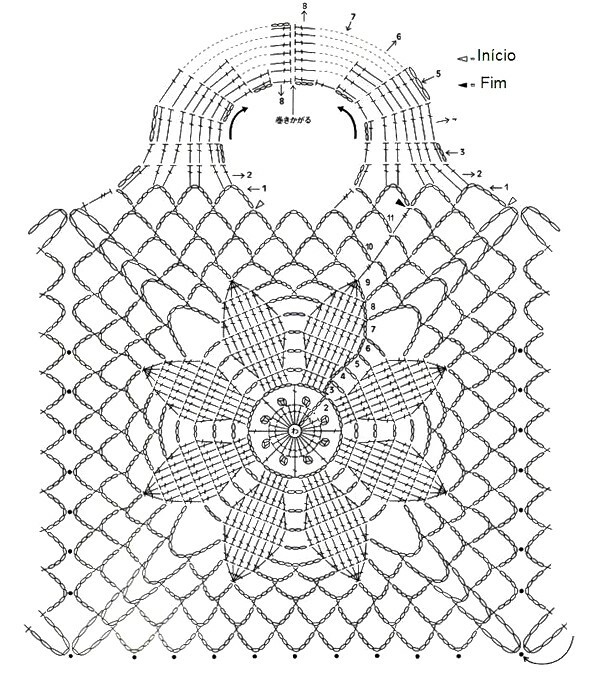 I share the pattern and diagram, and if you want to print it, click on the image to enlarge it.